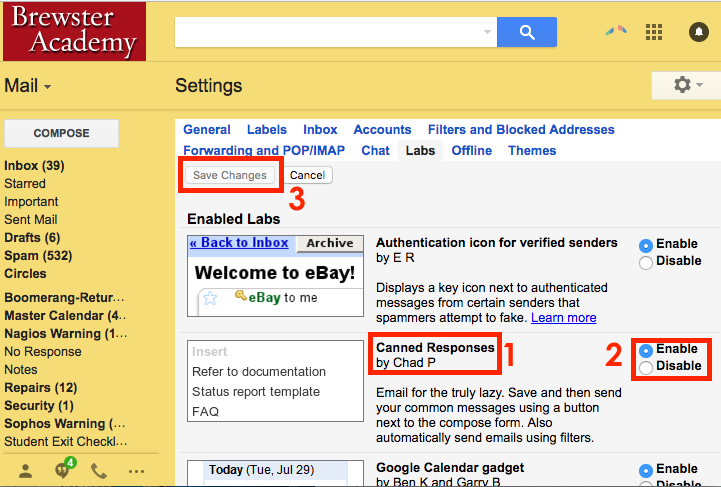 If you find yourself typing the same messages or text blocks over and over, you will want to use Gmail’s Canned Responses. Click the tab Labs link. 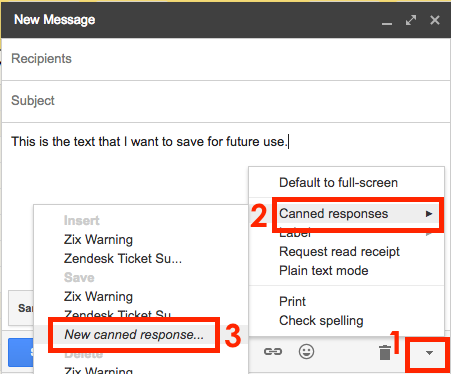 Find the service called “canned responses,” click Enable, then Save Changes. 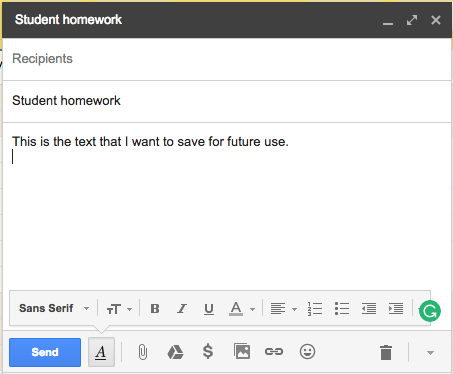 Start a new email by clicking the Compose button and typing out the text message or text block that you would like to save for future re-use. A new window will pop up where we can name the canned response. 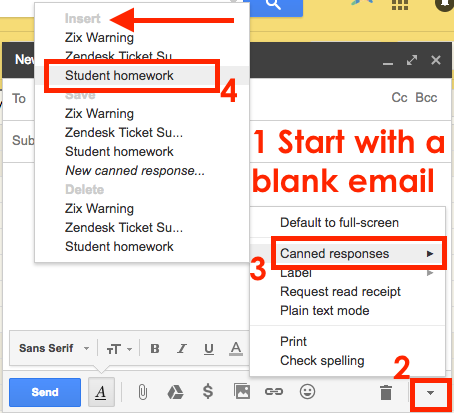 Start a new email by hitting Compose and at the bottom of the blank email, click the down arrow, hover over Canned responses, then click on the canned response name (in this case, “Student homework”) under the Insert section. 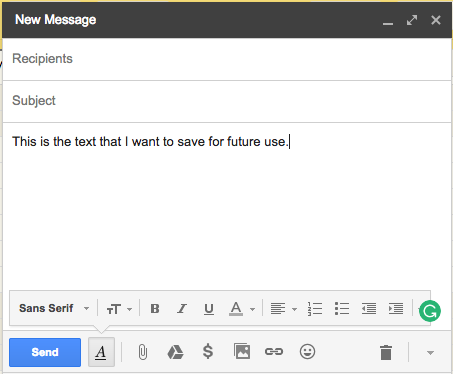 Your saved text block will appear in your blank email message. 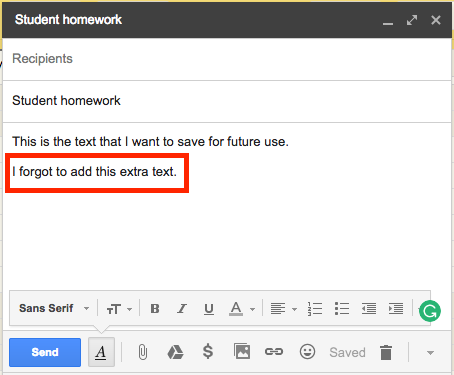 Follow the instructions in Part 3 and then edit the message as you desire. 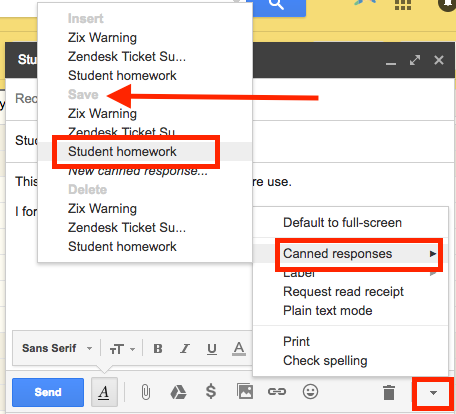 At the bottom of the newly edited email, click the down arrow, hover over Canned responses, then click on the canned response name (in this case, “Student homework”) under the Save section. 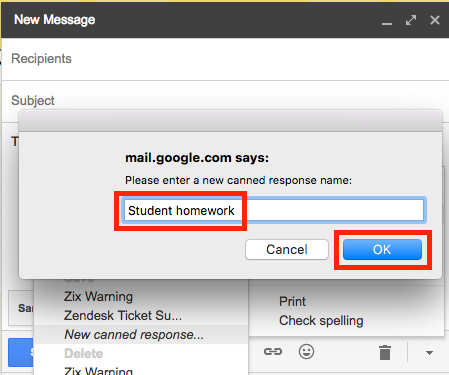 A window will pop up asking if you want to update or overwrite the existing Canned Response. Click OK.